Since having the twins, I’ve become concerned for their future. What if something were to ever happen? How would my family survive? These concerns become a reality when applying for health insurance. 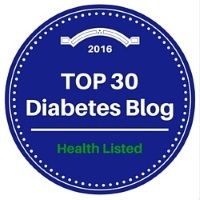 Take a look at this guest post by Diabetes Life Insurance Advisor Matt L. Schmidt. Before applying for life insurance, it’s a good idea to ensure that you’ve done your research about the potential difficulties that individuals with type 1 diabetes might encounter when trying to purchase life insurance. It may be helpful to take the time to speak with a knowledgeable life insurance agent about any questions you may have regarding the different policy options available to you. Most importantly, you are able to obtain an affordable life insurance policy, even with type 1 diabetes. Here are some tips that may prove helpful if you’re searching for diabetic life insurance. Complete Routine Lab Tests to Ensure Your Condition is Well Managed. If your goal is to purchase whole life insurance, or certain term life insurance policies, you’ll be asked for the results of a physical – this includes a set of routine bloodwork complete with CBC, A1C, and other indicators of whether you’re in good health or not. If you have type 1 diabetes, you’ll be asked to provide results for an A1C blood test. Life insurance companies will be especially interested in the results of your A1C test as it can give them an idea of how much of a liability your condition will present to them. Based on the life insurance company’s assessment of your overall health, your premium quotes will be generated. Do Your Best to Ensure You’re at a Healthy Weight. Proper weight management is an important consideration for anyone hoping to apply for life insurance, but for type 1 and 2 diabetics, being overweight leads life insurance companies to view you more of a liability. Excess weight can prove a detriment to the health of anyone, but in an individual with diabetes, the risk to health is exponential. By working to become more physically fit and achieving and maintaining a healthy weight you’re more likely to be viewed as a lower risk. By securing and maintaining a healthy weight, you benefit in the potential to hold a policy at a lower premium than you would have been presented with had you been overweight. Smoking is a Huge Liability That Will Drive Your Premiums Up. Life insurance companies view smoking as a huge red-flag. There are a large number of chronic and life-threatening illnesses that have been scientifically proven to occur more often in smokers than in non-smokers. If you smoke, you’re at risk of being denied life insurance or paying a high premium. If you’re a smoker and you also have diabetes, you can almost count on being denied for a large number of available life insurance purchasing options. Work Directly with an Independent Agent Who Specializes in Life Insurance for Diabetics. The best way to get the most accurate information on life insurance for type 1 diabetics is to speak with a life insurance professional who specializes in helping individuals with diabetes choose policies best suited for them and navigate the application process to secure the highest opportunity for approval. Life insurance agents specializing in life insurance for diabetics approvals can help to familiarize you with your policy options and give you realistic insight about how your current health status might affect the outcome of your application.